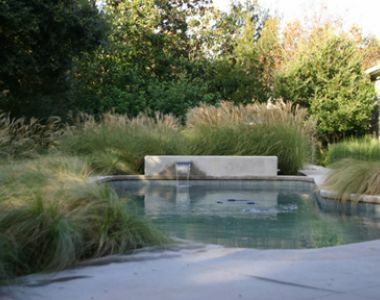 Landscape Design - Landscape Architect or Landscape Designer? Which one will you need to help you realize your dream landscape? Both Landscape architects and landscape designers design landscapes, for large and small residential and commercial projects. Landscape architects have received undergraduate or graduate degrees in landscape architecture and are much more knowledgeable in a broader array of subjects such as master planning, estate development, and site planning. Landscape designers typically have certifications in plant materials and landscape design and tend to be more familiar with smaller scale residential landscape design and usage. If your project requires any structural/engineering elements or if you wish to introduce drama to your outdoor environment, you should probably consider hiring a Landscape Architect. On smaller scale projects or when on a budget, a Landscape Designer will be a good choice. Landscape architects and designers may work independently or within a landscape or lawn maintenance company. The licensing and education requirements for Landscape Architects and Designers vary by discipline and state. Check with the American Society for Landscape Architects or the Association of Professional Landscape Designers for more information. 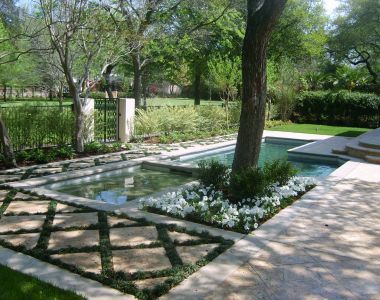 Landscape designers are typically less expensive than landscape architects. Many designers and architects charge initial consultation fees. If hired, most will credit the consultation toward the final design fee. Pricing for landscape drafting and design work is usually charged hourly beginning around $100/hour with printing costs excluded. Are you undertaking a landscape renovation or new landscape construction? What are your goals for your landscape? New fence, renovate existing plantings or installations, screen out unsightly areas, new style, boost curb appeal, move trees, outdoor kitchen, fire pit, fountain, swimming pool, flagstone patio? How do you use your landscape? Entertaining, children’s play area, quiet time, pets, sports? How do you travel through your landscape? Front yard only? Garage to rear patio? Front door to back driveway? What kind of landscape style interests you? English Garden, Low-maintenance, Xeriscape, Zen Garden, Old South, Southwest, Mediterranean? What is your budget for the design aspect of the job excluding installation? Always request project portfolios and license information.